We only use the finest quality pasture raised pork in our products. 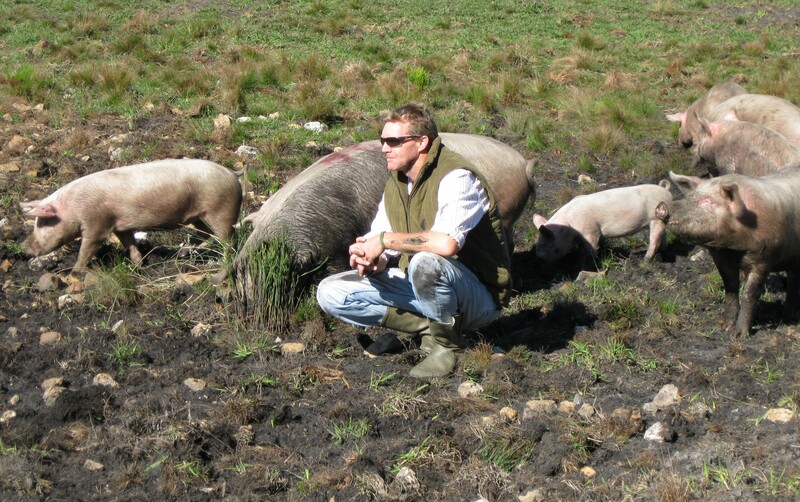 Farmer Charlie Crowther of Glen Oakes Farm breeds pigs to our specifications and the care and attention he provides ensures that we get the very best. Free of antibiotics, growth hormones and any other stimulants which means a healthier product for you and the taste is also better. Our production methods are simple and we try to do as little as possible to the meat, relying on time to provide the best results – it’s what’s inside that counts.